Would you like drive to scroll through in Minecraft? Well take a look at this mod. 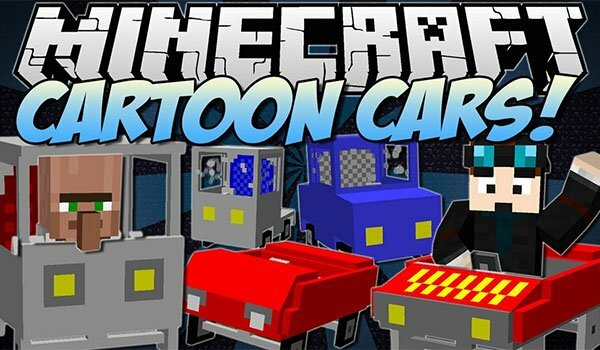 Cars and Drives 1.7.10 and 1.7.2 is a mod that allows us to manufacture various kinds of four-wheel vehicles in Minecraft. We create these vehicles by pieces, starting with wheels, engine and bodywork. Some vehicles are including a normal car, ferrari, 313, mini truck, an old coche and other variations of normal cars of different colors. These cars or vehicles are damaged when hitting other objects. That is, the vehicle design will not change, but “lose health” so to speak. Besides these vehicles go up the block without stopping, as we would if we were riding. How to install Cars and Drives Mod for Minecraft 1.7.10 and 1.7.2? Download Cars and Drives Mod 1.7.10 and 1.7.21.7.2Double-click the downloaded file to run the Forge installer.